Walnut, Calif. - The Mt San Antonio College Foundation recently received a residential property donation valued at $700,000 as a planned gift from longtime Pomona philanthropist at Mt SAC supporter Sophia B. Clarke. The three bedroom, three -bath home in Pomona was Clarke's residence for a number of years. Clarke, 96 was the primary contributor to Mt SAC's performing arts theater and has a long history with the college. 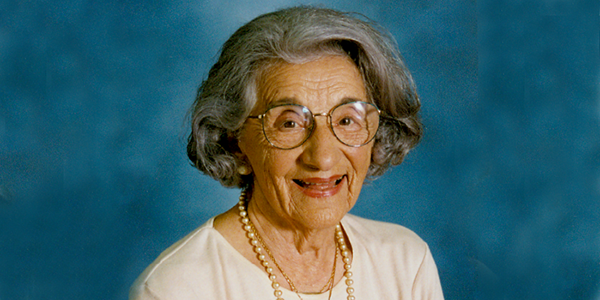 In July 2006, the college and the City of Walnut celebrated "Sophia B. Clarke Day" marking the tenth anniversary of the campus theater, which bears her name. Her association with Mt SAC began with her concession business selling popcorn at the college's athletic events. Later, she became a board member of the Mt SAC Foundation and was the major contributor to the construction of the college's James T. Clarke facility at Brackett Field, which opened in 1991. The $400,000 facility named after her son, affords classrooms and a hangar for Mt. SAC's Aircraft Maintenance Program. In September 1996, she participated in the opening ceremonies for the Clarke Theater, for which she donated more than $200,000 for its construction. Previously Clarke was honored by the college as the "Outstanding Citizen of the Year" at the Mt SAC Friends of the College program in 1989 and received the President's Special Award at the Foundation awards program in 1993. At the college's commencement in 1998, she received the first honorary associate's degree ever given by Mt SAC and was honored by the YWCA as a "Woman of Achievement" later that year. She also has been committed to a number of other community organizations, including the Pomona Soroptimist, Friends of the Pomona Library, Brackett Field, Fairplex, the Salvation Army and St. Nectarios Greek Orthodox Church in Covina. Founded in 1967, the Mt SAC Foundation is a nonprofit community volunteer organization that provides scholarships and supplemental funds for the college. The Foundation supports Mt SAC's mission to provide accessible and affordable quality learning opportunities that meet the needs and interests of students and the community it serves.